Putnam County Sheriff Robert L. Langley Jr. reports the arrest of two Town of Kent men, after a roommate versus roommate physical dispute. 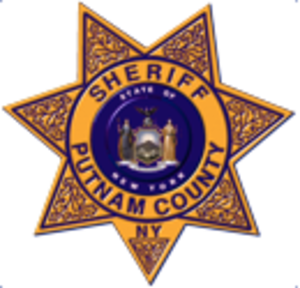 On Sunday, August 5, 2018 at approximately 1:20 pm, Putnam County Sheriff Deputies were dispatched to a residence in the Town of Kent, after a report of a physical dispute between two roommates. Sheriff Deputies Randal Hill, Andrew Kristan, and Shane Rossiter responded to the scene and investigated the complaint. After investigating the matter, both men were placed under arrest. Victor Briccetti, age 54, of the Town of Kent, was arrested and charged with Assault in the Third Degree, a Class A Misdemeanor. Daniel Cutler, age 46, of the Town of Kent, was arrested and charged with Harassment in the Second Degree, a Violation. Upon his arrest, Mr. Briccetti was transported to the Putnam County Correctional Facility for processing. Mr. Briccetti was later arraigned by the Honorable Judge Michael Caruso, in the Town of Paterson Justice Court, on behalf of the Town of Kent Justice Court. At the arraignment, Justice Caruso issued a Temporary Order of Protection against Mr. Briccetti, on behalf of Mr. Cutler. Upon Mr. Cutler’s arrest, Mr. Cutler was issued an appearance ticket for the Town of Kent Justice Court. Both men are scheduled to appear in the Town of Kent Justice Court, for future court dates.